Jobs are not usually easy to come by and even if you get one, it doesn’t necessarily mean that you are going to be hired as you will still need to go through an application process. This is usually done to determine whether you are the right candidate for the job. In most occasions, as part of your job application process, your employer may need you to take a drug test, usually known as pre-employment screening to identify whether or not you have been using certain specific type of drugs. Most employers conduct drug tests as it is usually within their company policy or it is among the state law requirements. For the drug testing process, the employers might decide to use one of the numerous methods usually available. The most common ones include using blood sample, urine sample, saliva and hair. Others might also need you to take the test using your breath or sweat. Anyway, without wasting any more time, let us look at a few things you might need to know concerning the pre-employment drug tests. Read more about this on Drug Testing reviews. As mentioned before, most employers would require their employees to pass a drug test before being hired. This however is not only done as part of the hiring process as there are also other circumstances that can make the employers call for a drug test process. I guess these are those random drug tests most people always don’t want to hear about. Passing a drug test cannot really guarantee you that you are going to be hired but it increases your chances of being selected by a higher percentage. Also, you need to know that the laws that govern the drug testing process usually varies depending on the state. In other places, there are some limits to when the screening should be conducted and how. For instance, those companies that are under the state drug testing laws are required to be consistent when it comes to the process as they cannot drug test other applicants for a specific job opportunity and leaving others out. Now that you have an idea of what to expect when going through a job application process, you still might probably be wondering why would they drug test you. Well, of course, there are a lot of medicinal drugs out there available for use but what the company is interested in, is whether you have been using the illicit drugs. Alcohol is often tested too. Anyway, prior to taking the tests, you should however go through a sample of a company’s drug test policy, review it and see how their drug screening process works. For all the companies that have a drug test policy in place, they still need to be in line with the federal state laws. These laws are the ones responsible for guiding the companies on how they can come up with the drug and substance abuse regulations within the workplace. This is what usually gives the employers the power to test their employees for drugs, prohibit the use of drugs and also fire anybody that goes against the company’s drug policies. However, those employees with problems on substance abuse are always protected by the laws of the federal state usually governing discrimination and disabilities. 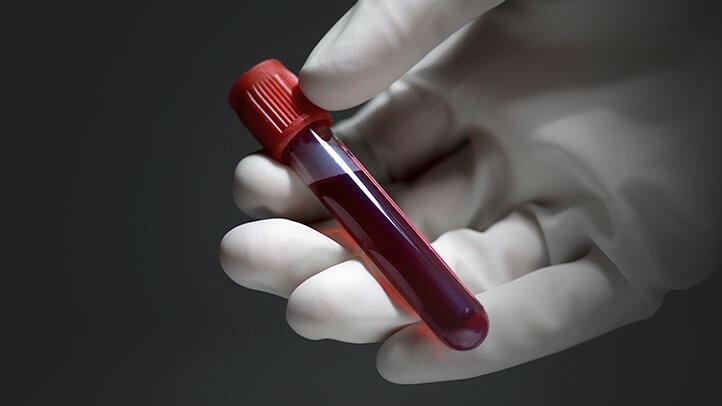 As mentioned above, one of the methods that is often used when conducting drug tests is using a person’s blood sample. This kind of test will always test for the amount of alcohol or drugs in your system at the time when the sample is taken. When your employers ask you for a blood sample for the test, the most likely type of drugs they are going to be testing for include cocaine, amphetamines, alcohol, opiates, marijuana and methamphetamine among others. Just to be on the safe side, refrain from using these mentioned drugs. Other methods include using a breathalyzer to determine the amount of alcohol in your system. Saliva test which can be used to test for drugs use a few moments ago or the previous one to two days. Since saliva is always pretty easy to collect, the test is usually simple and least invasive. There is also urine test, which is mostly common and hair test which is simply done by collecting a few strands of your hair. Do you know what is the worst nightmare for some job seekers? That would definitely be passing a pre-employment drug test. Since you already know that this might be required of you when applying for a job, you need to be adequately prepared for this. How do you prepare for a drug test anyway? Well, even though there are certain strategies that you can use to clean off some drugs in your system, the best way, however, is still to stay away from drugs. If you have been using the drugs going to be tested for, you might try your luck by starting as early as possible to look for ways in which you can clean your system. They might work or fail and therefore your chances of passing the test is not always a hundred percent guaranteed. Staying away from drugs is by far the best way to ensure you pass a drug test as you really can’t tell how long certain drugs can stay in your body. Click here to see how long it can take different drugs to stay in your system. There’s always been a big issue when it comes to legal cannabis and companies’ drug testing policies. In most cases, you will find employees often getting into problems with their employers after using marijuana which is not yet legalized by the federal government. Whether using it for medical or recreational purposes, you need to understand that there are some states that have legislation protecting only those using marijuana for medical purposes while other states don’t have such laws. For instance, the Compassionate Care Act in New York provide this kind of protection to employees as one using marijuana for medical purposes is usually considered to be having a disability under the State human rights Law in New York. These are among the few important things you need to know about pre-employment drug screening.